Yogrishi Vishvketu, founder of Akhanda Yoga, aims to reawaken the traditional, authentic message of Hatha Yoga through the practices he shares with his students. Paul and Michelle from The Yogin are two of his 600hr Akhanda trained Yoga teachers who wish to share these practices with their students in a humble and authentic way. The Akhanda Yoga style is a wonderful, holistic approach to teaching traditional Hatha Yoga. Akhanda Yoga encourages you to be a scientist and experiment on yourself to find what works and what doesn’t work within the guidelines given to us by founder, Yogrishi Vishvketu of the Nath lineage. Akhanda Yoga, as we understand it, is an exploration of the body, mind and spirit. Through Asana (physical postures) and Pranayama (breathwork) we explore the inner and outer workings of the body; allowing, guiding, moulding and massaging the body in different ways to release tensions, stored emotions and create a clear pathways for our energy to flow freely. We use Mantra to cultivate a feeling of oneness (or Brahma), connectedness and devotion to something that is bigger than our individual selves. Meditation is the reason we practice all of these other practices, which is the union of body and mind into harmony. Shiva being the powerful deity who is the god of destruction. Destruction needs to occur so that rebirth can take place. Nick has studied and taught yoga for over 15 years. 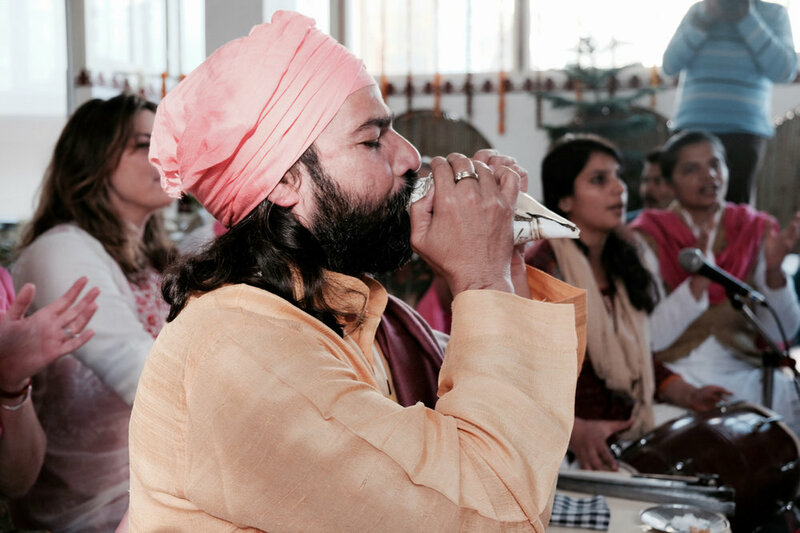 His passion for the kriyas (yogi cleansing techniques) lead him to Yogi Vishvketu in Rishikesh, and he is one of the few western yogis who has a regular Vastra Dhauti practice - Vastra Dauti is the swallowing of 21 feet of cloth in order to clean the stomach and then retrieving the cloth. Nick has studied with Pattabhi Jois in Mysore, Eilleen Hall in Sydney, Kevin Farrow of acu-energetics and finally his guru Yogrishi Vishvketu. Yogrishi Vishvketu or fondly known to his students as Vishva-ji, is an Indian Yogi and the founder of Akhanda Yoga. He is from Rishikesh in Northern India, at the foothills of the Himalayas. Vishva-ji has been practicing Yoga since he was a small boy and learnt in the traditional way from Guru to Disciple. Yogrishi Vishvketu comes from the Nath Yogi lineage. The Nath Babas were those Yogis specifically studying Hatha (physical) yoga, so the postures that we know as Yoga today in the West, come directly from the Nath. They studied the Cleansing Techniques outlined in the Hatha Yoga Pradipika, so Vishva-ji has first hand knowledge of these ancient practices, and not only studied them but still performs them on a regular basis. Radha's influences were Emma Henry of the Jivamukti method, Ananda Yoga and the teachings of Paramhansa Yogananda and finally, her guru Yogrishi Vishvketu. Radha's focus is on the more meditative and bhakti (devotional) side of yoga with a great love of yogic philosophy. Radha regularly leads Kirtan, singing and playing her harmonium. Radha also teaches for Akhanda Yoga in Rishikesh, India. She has released first album, recorded in Haridwar Northern India in 2012. It is an album of music - bhajans to accompany a yoga practice called Darshan.